The administration of Italy's air navigation sector is guaranteed by the Italian Civil Aviation Authority (ENAC), the National Agency for the Safety of Flight (ANSV) and by the Aero Club of Italy. The management of air navigation in its operational profiles has been conferred to ENAC. ENAC is the agency in charge of regulating aviation in Italy, as provided by Article 687 of the Italian Navigation Code (INC) and Legislative Decree No. 250/97. It is the responsibility of ENAC to supervise and regulate air carriers, as well as to fine them for breach of regulations. In particular, ENAC shall impose fines on airlines that are in breach of Regulation (EC) No. 261/2004. Additionally, ENAC drafted the Passenger's Charter and the Charter of Airport Standard Services. The Passenger's Charter is, in substance, a vade mecum of national, European and international regulations on air passenger protection, detailing the claims and compensation procedures available to passengers in cases of non-compliance with the rules set out in the above-mentioned regulation. The Charter of Airport Standard Services sets out the minimum quality standards airport operators are bound to comply with in providing their services. In addition, Law No. 214/2011, subsequently amended by Law No. 27/2012, has established the Regulatory Transport Authority (the Authority). The Authority carries out important functions in regulating, promoting and ensuring fair competition in the transport sector. Specifically, it is the Authority's responsibility to ensure fair and non-discriminatory conditions of access to airports and of movement of passengers and goods at national level. The Authority performs supervisory functions regarding airport charges and shall verify that tender notices do not contain discriminatory conditions or obstruct other markets' competitors. The first board of the Authority has been appointed by a presidential decree dated 9 August 2013, partially published in the Italian Official Journal (dated 16 September 2013). The Authority has established its main offices in Turin. Another agency that comes into play in regulating the aviation sector is the Italian Antitrust Authority. Established under Law No. 287/1990, it is an independent authority in charge of reporting unfair commercial practices and misleading advertisements, with the power to levy fines, if necessary. The Antitrust Authority has already fined several Italian air carriers for unfair commercial practices relating to underpricing or mispricing of tariffs and other reimbursable elements of cost, which tends to prejudice the passenger's interests, in cases of flight cancellation. The Antitrust Authority also considers unfair the practice of acceptance of insurance policies by passengers, given that this service is normally preselected during the carrier's online booking process. As a consequence, consumers who are not interested in purchasing the service would be forced to opt out. More recently, in a landmark decision, the Antitrust Authority awarded seven slots that were previously held by the former Italian flag carrier to a low-cost European air carrier, thus effectively enabling it to consolidate its position in the Italian market. The Italian administrative courts are the Regional Administrative Court and the Supreme Administrative Court. The Regional Administrative Court has jurisdiction over ENAC's and the Antitrust Authority's decisions. The judgments issued by the Regional Administrative Court can be challenged before the Supreme Administrative Court. Air carriers' liability for death or injury to passengers, for loss of or damage to goods or baggage, and for delay in international transport is governed by the Montreal Convention of 28 May 1999 on International Air Transport, which came into force in Italy on 28 June 2004, following its simultaneous ratification by 13 Member States of the European Community (now the European Union), the Community itself and Norway. It replaced both the Warsaw Convention of 1929 and subsequent protocols, and the Guadalajara Convention of 1961. With the entry into force of the Montreal Convention, the European Parliament and the Council adopted Regulation (EC) No. 889/2002 of 13 May 2002, which amended Regulation (EC) No. 2027/97 of 9 October 1997, so as to align the Convention rules with the European ones. This Regulation broadens the extent and scope of Montreal Convention provisions on carriage of passengers, baggage and cargo, as well as carriage by air within a single Member State by the air carriers of the Community countries, including Italy. After the adoption of Regulation (EC) No. 889/2002, the most important piece of legislation relating to the Italian aviation sector (the INC) was modified, which affects some international arrangements on the protection of passengers' rights. Section II of the INC set outs rules that are entirely dedicated to aviation matters, while Section I is devoted to matters related to maritime law. In 2005 and 2006 numerous amendments were introduced, through Law Decrees No. 96/2005 and No. 151/2006, to the INC's articles governing the aeronautical sector, with a view to creating national rules in line with international and Community standards, and in particular, with regard to the transport of passengers (and the consequent carrier liability and protection of passengers' rights). By means of the above-mentioned amendments, Italy has extended the enforceability of the Montreal Convention to every area of commercial aviation, which includes the ferrying of air passengers and baggage, as well as areas left out by the extension brought about by Regulation 2027/97, as amended by Regulation 889/2002. The excluded areas relate to transport services carried out by non-Community air carriers, as well as services performed by unlicensed carriers (to date, non-Community air carriers are not permitted as per the cabotage rights enshrined in the Chicago Convention). Unlicensed operators include, for example, carriers operating with light aircraft, as well as those involved in transport services with points of departure and arrival at the same airport. Article 941 of the INC, concerning air carriage of passengers and baggage, and Article 951 on the transport of goods, extend the applicability of the Convention to all air transport, to which the domestic laws – Law Decrees No. 96/2005 and No. 151/2006 – become applicable. Article 941, Paragraph 1 of the INC has extended the applicability of the Convention to personal injury caused to passengers. Although, according to the prevailing interpretation, the Convention applies only to bodily injury and not psychological injury, under national law, the notion of 'personal injury' includes psychological damage. However, it is important to keep in mind that this extension is not applicable to areas of transport to which the Convention applies in its own right, or as a result of Community rules. In fact, the Convention rules prevail in cases where domestic legislation would have been applied. Article 949 ter of the INC provides that the two-year limitation period laid down by Montreal Convention applies to any passengers' claims brought before Italian judges. With regard to carrier liability, the INC provides for a compulsory insurance system (Article 942). As Regulation (EC) No. 785/2004 on insurance requirements for air carriers and aircraft operators does not establish a complete regulatory framework on insurance, the civil liability insurance rules contained in the Italian Civil Code apply, as well as the provision contained in Article 942, Paragraph 2 of the INC, which provides that the passenger has the right to bring direct action against the carrier's insurer for any damage suffered or incurred. As for the transport of passengers and goods by air, the Italian legislature found in 2006 that the regulation on liability for damage caused to third parties on the surface was adequate and comparable to the international regulations in force. Indeed, Article 965 of the INC extends the regulation of the Rome Convention 1952 to damage caused on Italian territory by aircraft registered in Italy, as well as damage caused by state aircraft. The Italian legislature introduced some changes to the rules on liability for collision between aircraft. These are in line with the regulation of liability of the operator for damage caused to third parties on the surface's amendments. Article 972 of the INC states that all rules governing the limitation of compensation and its implementation in the event of liability for damage caused to third parties on the surface (Rome Convention) shall also apply to liability for damage caused by collision between two aircraft in flight, or between an aircraft in flight and a moving ship (where responsibility for damage falls on the aircraft). Article 971 of the INC modifies the extent of the limits laid down in the Rome Convention (which vary according to the weight of the aircraft – Article 11 of the Convention) and fix it in accordance with the minimum amount of insurance required as per Article 7 of Regulation No. 785/2004. The minimum coverage is determined by the maximum take-off mass of the aircraft and ranges from 0.75 million to 700 million special drawing rights. As mentioned above, carrier's liability for cargo loss, damage or delay in international transport is governed by the Montreal Convention. Article 951, Paragraph 1 of the INC establishes that the air transport of goods is regulated by the rules contained in the Convention. The Montreal Convention does not apply to damages in the event of a carrier's outright non-performance in passenger carriage. In fact, the INC (Article 952), recalls the limitation of liability foreseen in the Montreal Convention in case of carriage of goods but not in case of carriage of passengers or baggage (Article 949 bis of the INC). Article 951(1)(i) of the INC makes the liability rules set out in the Montreal Convention applicable to all air transport of goods. The gaps in the Montreal Convention rules regarding the carriage of goods have been filled by the INC; this was done by referring to the INC rules governing the maritime transport, and by adding some rules. In particular, the provision on non-performance of the transport services, contained in Article 952 of the INC, corresponds to the liability regime set out by the Convention regarding the delay. The law governing the liability of the operator in general aviation activities is provided for in the INC and other domestic laws (see President of the Republic's Decree of 9 July 2010). Article 743, Paragraph 1 of the INC sets out a broad definition of aircraft, describing it as a machine used for transporting passengers and goods by air. Consequently, the activities performed by aircraft are subject to the rules of the INC, which govern these liabilities, including the liability of the carrier and the operator of small aircraft. On the other hand, with regard to aircraft used for leisure and microlight aircraft, the Italian legislature introduced a special regulation for insurance obligations; however, this special regulation refers to both the Community guidelines on insurance obligations, as well as to the principles established by the INC for such obligations. Indeed, Decree No. 133/2010 introduces specific insurance requirements for single and double microlights without motor (two-seaters weighing up to 100 kilograms), for powered aircraft (weight not exceeding 330 kilograms for fixed-wing aircraft used for leisure flights, and not more than 450 kilograms for helicopters) and for the two-seater powered aircraft (weighing not more than 450 kilograms, and not more than 495 kilograms on devices with fixed wings used for recreational flying and helicopters). This Decree has amended Law No. 106 of 25 March 1985, in light of developments in technology and the safety needs of leisure aviation. Article 20 of Decree 133/2010 establishes a compulsory insurance for civil liability of the operator for damage caused to third parties on the surface as a result of impact or collision in flight. Article 21 introduces the requirements for insurance coverage and requires that the insurance contract must be concluded in compliance with Regulation No. 785/2004, and it also foresees the extension of insurance coverage to damages caused by gross negligence. It also provides for the obligation of the insurer to directly indemnify the injured third party, within the limits of the maximum insured. However, this does not preclude the possibility of recourse by the insurer against the insured, to the extent and circumstances provided for in the contract. ENAC has issued the Passenger's Charter, which contains the rights conferred on passengers pursuant to Regulation 261/2004. It is a practical guide, in which ENAC has summarised useful information for those travelling by air. The Passenger's Charter was drawn up for the first time in 2001 and distributed in all Italian airports. A new version (the fifth) was introduced in 2005, together with the introduction of new rules governing delay and cancellation of flights, with a view to report, in particular, the increase in the amount of compensation payable by carriers in the event of denied boarding owing to overbooking, introduction of forms of compensation and assistance in the event of flight cancellations or long delays, as well as the extension of such protection to passengers on charter flights. In March 2009, ENAC approved a revised edition of the Passenger's Charter, implementing therein the European provisions on disabled passengers' rights and regulations regarding security and surveillance on operators. It also allows the implementation of regulations on carrying liquids on board aircraft and published a list of items to be added up to the final cost of an airline ticket, to allow transparency in pricing determination. ENAC has incorporated the principles established in the judgment of the European Court of Justice in November 2009 on compensating passengers in the event of a long delay. The judgment upheld the rights of passengers to be compensated in the event of reaching their destinations over three hours later than the scheduled time of arrival. In addition, the Italian legislature introduced into the INC certain provisions aimed at ensuring special protection for passenger rights. Special mention must be made of Article 943, which provides for a specific obligation to provide information. If transport is being carried out by an air carrier other than the carrier indicated on the ticket, the passenger must be adequately informed prior to the issuance of the ticket. For ticket reservations, the above information must be given at the time of booking. In the event of lack of information, a passenger may request the termination of the contract, reimbursement of the ticket fare and payment of damages. Article 943 also established that carriers cannot operate from Italian territory if they do not fulfil their obligations to provide information referred to in Article 6 of Regulation No. 2027/97 (as amended by Regulation No. 889/2002). In addition, Article 948 introduces rules for passengers' waiting list. The carrier is obliged to communicate to the passenger its respective waiting list number while putting up a waiting list for a certain flight. Moreover, it must be posted in a location accessible and visible to the public. Passengers whose names have been entered on the waiting list have the right to access transport according to the waiting list number assigned. Finally, Article 783 of the INC obliges air carriers to carry out an annual check of the quality of services offered to passengers, according to indications given by ENAC, which checks compliance with promised quality, and in the event of non-compliance, enforces measures laid down in its rules that can even lead to the withdrawal of the operator's licence (Article 783 of the INC). Within the EU, international and domestic air services are governed by Regulation No. 1008/2008, which provides market access to all carriers who have obtained an operating licence, as well as an air operator's certificate. This principle was also adopted by the Italian legislature in 2005 and 2006 as it modified the rules of the INC, stipulating services that are allowed to be performed by air carriers. These include air transport services to passengers and carrying of mail and cargo on scheduled and non-scheduled flights on intra-Community routes by carriers who have obtained an operating licence, and previously a certificate (AOC), according to the provisions laid down in the INC and in EU legislation. ENAC is the body responsible for issuing the AOC. The certificate affirms that the operator has the professional ability and organisation necessary to ensure the exercise of its aircraft in a safe condition for the aviation activities specified therein (Article 777 of the INC). ENAC establishes, through its own internal rules, the content, limitations and procedures for the issuance, renewal, and changes, if any, to the AOC. The regulation governing ENAC's issuance of a national AOC for air transport undertakings is also applicable to air carriers that have helicopter operations. ENAC grants air carrier licences to undertakings established in Italy, according to Regulation No. 1008/2008. The conditions for issuance, formalities and validity of the licence are subject to the possession of a valid AOC specifying the activities covered by this licence. To issue the licence, ENAC requires the operator to submit evidence of the administrative, financial and insurance requirements referred to in Regulation (EC) No. 1008/2008 and Regulation (EC) No. 785/2004, proof of availability of one or more aircraft, or on the basis of a property deed, or under a contract for the use of the aircraft previously approved by ENAC according to their own regulations. Supervision of the activities of the air carrier and verification of its ability to meet the requirements on an ongoing basis comes under the authority of ENAC and is a condition for the issuance of the operating licence. A year after its issuance, and every two years thereafter, ENAC has to verify that the requirements for the issuance of licences are being met on an ongoing basis. ENAC may, at any time, suspend the licence if the carrier is unable to ensure compliance with the licensing requirements, and has the authority to revoke it if it appears that the carrier is no longer able to meet its commitments. Article 743 of the ICN establishes that 'remotely piloted aerial vehicles are also considered aircraft, as defined by special laws, ENAC regulations and, for the military, by decrees of the Ministry of Defence'. Therefore, the ENAC Regulation on Remotely Piloted Aerial Vehicles provides for specific dispositions concerning AOC and licences release for the use of the Remotely Piloted Aircraft System (RPAS). More specifically, Article 22 of the Regulation establishes that: 'In order to pilot RPAS in BVLOS operations or RPAS with RPA having operating take-off mass more than or equal to 25 kg, it is necessary to hold the RPA pilot licence issued by ENAC.' In addition, the same article prescribes that the licences are issued pursuant to procedures applicable to the issuance of flight licence personnel and that ENAC establishes case-by-case the requirements applicable to the pilots in order to fly RPAS in BVLOS specialised operations, or RPAS with RPA having operating take-off mass more than or equal to 25kg. In addition to the Regulation on Remotely Piloted Aerial Vehicles, on 17 November 2017 ENAC issued a Regulation regarding fire-fighting air operations in Italy. In this Regulation, ENAC set out the rules applicable to the release, maintenance, limitations and revocation of the firefighting air operator certificate (COAN). The COAN is mandatory to perform this type of flight operation, which ENAC defines as: 'air operation devoted to fire-fighting, including flights for observation and finding of fires, spread of extinguishing and retardant products, transport of specialised personnel and flight training'. In order to obtain the COAN, the applicant must comply with several requirements regarding the place of business, citizenship and professional ethics of the legal representative and the board members, nationality of the operator, operator's financial means, registration of the aircraft, aircraft's property, airworthiness certificate and insurance coverage. ENAC issues the air carrier's licence according to Regulation (EC) No. 1008/2008 (Article 778 of the INC). The licence is granted to undertakings established in Italy whose effective control, through a shareholding majority, is owned directly or through majority ownership by a Member State or nationals of EU Member States and whose main activity is air transport in isolation or in combination with any other commercial operations of aircraft or the repair or maintenance of aircraft. Moreover, air carriers must own a valid certificate of airworthiness issued by ENAC and one or more aircraft being its property or leased (dry lease) as provided by Article 2.2 of the Circular No. EAL-16 on 27 February 2008. Air carriers must provide satisfactory evidence of administrative, financial and insurance requirements, as provided by Regulation No. 1008/2008. Among the recent licences released, in October 2016, ENAC issued to Blue Panorama Airlines the Air Transport Licence and AOC,2 and most recently, on 11 April 2017, to Ernest Airlines the AOC (IT.AOC.175) and the Operating Licence I-L 518. Access to European routes is guaranteed to all air carriers (Italian and European) with the AOC and the operating licence granted by ENAC (Article 776 of the INC). The services of scheduled air transport of passengers, mail or cargo that are conducted, in whole or in part, outside the European Union are governed by bilateral agreements. Article 784 of the INC, regarding non-EU scheduled air transport services, states that it is an essential condition that the civil aviation authorities of the country parties have a regulatory system for certification and surveillance for air transport services; this is required to ensure a level of safety as provided by the Chicago Convention standards. The air transport services are performed for the Italian part by one or more designated air carriers, established on national territory, with a valid operating licence granted by ENAC or by a Member State of the European Union, provided with financial and technical capacity and insurance sufficient to ensure the smooth running of air services in conditions of safety and to safeguard their right to mobility of citizens (Article 784 of the INC). In December 2014 ENAC issued circular EAL-14A, which implements the INC in relation to the operation of extra-EU scheduled services by regulating the authorisation and designation procedure for both Italian and Italian-based EU carriers in accordance with international air transport agreements. It aims to improve the regulatory framework and assist the industry by broadening business opportunities. Once an EU airline has been recognised by ENAC as an established carrier, it must comply with all national laws and regulations applicable to its specific business in Italy (including any relevant fiscal and employment laws). ENAC has also outlined the criteria in selecting carriers applying for traffic rights to and from extra-EU airports. ENAC is the only authority that can prepare an agreement that regulates relations with the chosen air carriers. Designated carriers cannot give the service hired to other air carriers without the prior written consent of ENAC, under penalty of exclusion from the hired service (Article 785 of the INC). Italy allows air carriers holding a licence and the carriers of the state with which there is the air transport service the exercise of non-EU non-scheduled services on condition of reciprocity. ENAC requires non-EU carriers technical requirements and administrative provisions, including those relating to the prevention of attacks against civil aviation (Article 787 of the INC). ENAC is responsible for regulating the carrying out the services of non-scheduled air transport. In the event that the carrier does not meet requirements, ENAC may prohibit a non-EU carrier from entering Italian airspace. The Ministry of Transport published a national airport plan, which is currently under further revision. It aims to design a balanced development of Italian airports, offering a new governance system, identifying structural priorities and optimising the global transport offer. The plan in question also intends to prevent competition conflicts between airports located in the same region, favouring the creation of an airports system with a single governing body. The Italian airport plan has been drafted according to the EU principles included in the EU Commission Communication on the draft EU Guidelines on state aid to airports and airlines; these state that: 'except in duly justified and limited cases, airports should be able to cover their operating costs and public investment should be used to finance the construction of viable airports; distortions of competition between airports and between airlines, as well as duplication of non-viable airports should be avoided. This balanced approach should be transparent, easily understood and straightforward to apply.' The plan identifies 10 traffic zones; each zone has one strategic airport with the sole exception of the centre–north zone, where Bologna and Pisa–Florence operate, provided that Pisa and Florence airports become totally integrated. The 10 strategic airports are: Milan Malpensa (north-west), Venice (north east), Bologna and Pisa–Florence (centre–north), Rome Fiumicino (centre), Naples (Campania), Bari (Mediterranean–Adriatic), Lamezia (Calabria), Catania (east Sicily), Palermo (west Sicily) and Cagliari (Sardinia). Other airports of national interest can be identified, provided that they can actually play an effective role in one zone and can achieve at least a break-even point in their annual accounts. The plan also envisages the strengthening of airport infrastructure, the development of intermodality, the creation of a cargo network and facilitation for general aviation. Safety in the aviation field is guaranteed by the maintenance of the airworthiness of aircraft and parts and spares; it requires the certification of management organisations and products, as well as the qualification of technical and operating staff working in the field. Safety technical regulation is established and implemented by ENAC, which issues airworthiness certificates, air operator certificates and approves maintenance programmes in accordance with the international and European rules issued by the International Civil Aviation Organization (ICAO) and by the European Aviation Safety Agency (see Regulation (EC) No. 216/2008 of 20 February on common rules in the field of civil aviation). However, the basic regulation (i.e., Regulation (EC) No. 216/2008) was amended by Regulation (EC) No. 1108/2009, which enlarged the European Aviation Safety Agency's (EASA) competences to include aerodromes, air traffic management and air navigation services within the EU safety system. Consequently, Regulation (EC) No. 139/2014 required Member States, civil aviation authorities, airports and their management companies to ensure full compliance with the new rules by 31 December 2017. In parallel, EASA integrated the regulatory framework by setting up the acceptable means of compliance, certification specifications and guidance material for airport facilities. The Italian implementation process is supervised by ENAC, which developed a road map for ensuring that the Italian airport system complied with the new EU rules by the 31 December 2017 deadline. In line with this, on 10 May 2017, ENAC presented the new Guidelines No. 2017/003-APT, which incorporate detailed interpretative and procedural information. 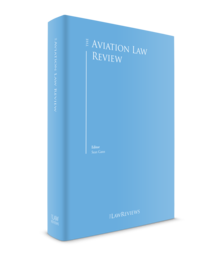 These Guidelines aim to harmonise the national legislation with the European legal framework with regards to the certification proceeding or to the conversion of the existing aerodrome certificates issued by Member States. The road map identifies four macro-areas of intervention: regulatory management; certifications and conversion of previous certifications; communication; training and education. Within these four fields the authorities responsible for aerodrome certification and supervision, aerodrome operators and management service providers, must carry out a series of coordinated actions. The road map covers 38 airports distributed throughout Italy, whose certification – previously granted in accordance with a 2003 ENAC Regulation on the construction and management of aerodromes – will be converted into a new certification consistent with the EU provisions. The Italian safety regulation for air operations that do not constitute commercial transport is represented by Circular No. 71-B issued by ENAC on 31 October 2011 on continuing airworthiness management of aircraft not used for commercial activities with a weight over 5,700 kilograms and multi-engine helicopters (large aircraft). In Italy, the accident reporting system is guaranteed by the pilot in command of the aircraft, who has the duty to record the accident or incident in the flight book immediately after landing and sending a report to ENAC. Articles 826 to 832 of the INC regulate air accidents, establishing several duties for airport management, the Italian air navigation services provider and for the ANSV. Pursuant to Article 826 of the INC, the technical investigation of air accidents and incidents is conducted by the ANSV. The amendments to the INC, made in 2005 and 2006 (by Decree No. 96 of 9 May 2005 and Decree No. 151 of 15 March 2006), which adapted its provisions to the international and Community standards in force in Italy, have also had an impact on aviation insurance regulation. The previous regulations on compulsory insurance by air carriers and aircraft operators have been replaced by the current obligations to ensure their civil liability for damage caused to passengers, baggage, cargo and third parties established at European level. The current rules oblige air carriers and aircraft operators to ensure their liability for damage caused to passengers, baggage and cargo in accordance with Community legislation (Regulation No. 785/2004). In this way, Italy applies the same EU regulations, with one specific provision established in favour of passengers. With particular regard to the insurance of passengers, Article 942 of the INC allows the passenger to exercise direct action against the insurer for compensation for damage caused by the air carrier, which is not allowed under Regulation No. 785/2004. As a result of this provision, an injured person may claim compensation either against the carrier or against its insurer. With regard to the legal action against the insurer, Article 1020 of the INC provides for a limited period of one year. Since the passenger has at his or her disposal a period of two years to bring an action against the air carrier (Article 35 of the Montreal Convention), it is generally believed that if the same passenger intends to act directly against the insurer, he or she should have the same two-year term for the action against the insurer. The measure refers to the parameters of Article 7 of Regulation 785/2004, provided for manned aircraft, and stipulates that unmanned vehicles within the scope of the Regulation shall be provided with at least the minimum insurance coverage of the table. In particular, this means that operators of unmanned aerial vehicles must obtain insurance in respect of third-party liability that is not less than 0.75 million SDR. The Italian system does not provide specific regulation for the aviation sector. Law No. 287 of 10 October 1990, which introduced to the Italian legal system general rules on competition, is also applicable to the aviation sector. However, the recent crisis has affected also the scope of competition in the national aviation sector. Since January 2015, Italy's national airline and flag carrier is jointly controlled by Etihad, the national carrier of the United Arab Emirates. When the agreement entered into force in August 2014, Etihad acquired 49 per cent of Alitalia's shares, allowing the latter to recover from a difficult financial situation. In fact, Etihad underwrote a substantial equity commitment towards Alitalia and restructured €695 million of the Italian company's debt. In November 2014 the European Commission, pursuant to Council Regulation (EC) No. 139/2004, cleared the proposed acquisition of joint control over New Alitalia by Alitalia Compagnia Aerea Italiana SpA (Alitalia CAI) and Etihad Airways PJSC (Etihad). The aforementioned decision was conditional upon commitments by Alitalia and Etihad, and in this respect the Commission approved the appointment of a Monitoring Trustee to monitor the compliance of Alitalia CAI and Etihad with the commitments attached to the Commission's decision, and to report to the Commission thereon. This significant case is examined in more detail below. Another interesting point regarding the Italian aviation sector is that regarding the opportunity to implement public investments in small and regional airports with the aim of giving them a central role in the economic growth and regional development, without distorting competition. In this regard, on 17 May 2017, the EU Commission approved in principle the Block Exemption Regulations (GBER), amending Regulation (EU) No. 651/2014, released by the EU with the aim of revising exemption criteria for airport investment aid from prior Commission scrutiny under EU state aid rules. The purpose of the GBER is to facilitate public investments that can create jobs and growth, while preserving competition. The Regulation is specifically designed for 'regional airports', which are defined as 'airports with average annual passenger traffic of up to 3 million passengers' and to reduce the regulatory burden and costs for public authorities and other stakeholders in the EU. On 6 December 2016, the Italian authorities presented their position concerning the first Draft of the approved GBER Amending Regulation. Following the public consultation on the Draft, the authorities considered that a real and effective simplification of the administrative burden may be realised under the condition that operating aid to airports would be exempted from the notification procedure. In addition, they underlined the need to clearly define the instances of 'small airports', which are exempt from the application of state rules. On this matter, the Italian authorities consider that airports for general aviation and those with a scant economic traffic should not be considered in competition with other airports because of their small size. Therefore, any public financing given to them should not be considered a way to affect competition or trade relations between Member States. In addition, the Italian Ministry of Infrastructure and Transport guidelines and the Italian Regulatory Transport Authority intervention on the subject may be revised, in accordance to the approved GBER Amending Regulation (No. 651/2014) for regional airports, as it represents an important support instrument for regional airports, which are a substantial part of airport structure in Italy. With regard to the European rules on competition, it is important to highlight that an amendment to Regulation (EC) No. 868/2004 was recently proposed.3 By means of this Regulation the EU intends to safeguard its airlines from practices considered unfair and discriminatory. Despite the objective of the Regulation being to establish a procedure to be followed to protect the Community industry from subsidisation and other unfair pricing practices of third countries in the supply of air services, the approach of the EU lawmaker has proved to be entirely impractical for the air transport sector, which is characterised by a specific and dynamic pricing system. In fact, the rules laid down in Regulation 868/2004 have led to significant losses in EU air carriers' revenues on routes towards certain countries in favour of competitors benefiting from alleged subsidies and unfair practices. These losses highlight the urgency to amend Regulation 868/2004. the liberalisation and deregulation of international air transport has fostered unprecedented competition within the Union market and globally. [. . .] However, in the absence of an international framework that sets out the conditions governing competition among air carriers, practices regarding the treatment of air carriers may differ from one country to another and affect competition. [. . .] Indeed, unfair practices, if they are allowed to persist, may lead in the longer run to dominant or even monopolistic situations in the aviation market, meaning less choice, less connectivity and higher prices for EU citizens. The Italian legal system recognises non-pecuniary damages in case of wrongful death, suffered both by the first-degree victim and possibly transferable to the heirs, as well as directly to the relatives with an autonomous right. The Italian Civil Code does not provide for a definition of non-pecuniary damages but it establishes a right of compensation under Article 2059. However, the Italian courts ruled that non-pecuniary damages include any kind of prejudice caused by the impairment of inviolable personal rights laid down by the Constitution (e.g., right to health). According to case law and scholars' opinions, the first-degree victim's right to compensation includes the following: biological damages suffered by the deceased that can be recognised solely if there was a noteworthy lapse of time between the events of the wrongful act and the death; moral damages suffered by the victim where the latter was aware of the catastrophic consequences of the wrongful event leading to the loss of life (i.e., catastrophic damages); and damages for loss of life (thanatological damages), which is recognised only occasionally by the Italian courts and some legal commentators. On the other hand, relatives, on their own, are entitled to claim for biological damages, in case the distress from the loss of someone close to them has evolved into a 'temporary or permanent injury to a person's physical and mental integrity which can be identified through a medico-legal assessment and which has a negative impact on the activities of daily life and on the dynamic and interpersonal aspects of the life of the injured party, regardless of any repercussions on his/her capacity to produce income'. This is the meaning of 'biological damage' provided in Article 138 of the Italian Code of Private Insurance. Moreover, relatives are entitled to claim in jure proprio for moral damages, intended as a state of subjective anxiety or psychological distress, which may include the loss of a relative (loss of dependency). More controversial is thanatological damages (i.e., loss of life); recently the Supreme Court affirmed that the loss of life cannot lack civil protection, therefore it shall be recognised as compensable damage in itself (as is also the case for immediate death). Based on this statement, the Court accepted the right to compensation per se for the damages of (instantaneous) loss of life (thanatological damages). Regarding the compensation aspect, the Supreme Court has established that all suffered prejudices must necessarily be connected to a sole notion of non-pecuniary damages, as a macro-category for the purpose of preventing the duplication of claims for compensation. That means that non-pecuniary damages shall include, comprehensively, biological damages (physical and psychological injury); moral damages (e.g., emotional distress; state of anxiety that leads from the loss of a relative); and existential damages, as they represent different aspects of sole recoverable damages. In particular, the loss of independence is usually included in the moral damages category whether it is intended in its subjective aspect; neither represent independent categories of damages, but they are merely descriptive entities that shape the unitary notion of non-pecuniary damages. In order to avoid duplication, but also non-compensated damages, with particular regard to damage to family relationships, the court shall consider and assess whether the relatives of the deceased victim, following the harmful event, have suffered a disturbance of their normal living habits to the extent of being compelled to change their lifestyle. There is no sector-specific regulation on which fora and mechanisms are used to settle claims, or on the timelines for settlement and limitations for bringing claims. The general Italian Civil Procedure rules (established in the Italian Civil Procedure Code) are applicable. Similarly, on the matter of which parties may be joined in actions for compensation (carriers, owners, pilots, manufacturers, etc. ), the general Italian Civil Procedure rules (established in the Italian Civil Procedure Code) are applicable. The Italian Civil Procedure Code provides the possibility for one party to involve one or more parties in a dispute, provided that the party who promotes the action holds an interest in bringing proceedings against other parties (Article 100). Liability is allocated among the defendants according to the respective negligence in causing the accident or incident (if fault is established). There are no sector-specific rules governing manufacturers' and owners' liability to passengers and operators; the Italian regulations on product liability are applicable. There are no sector-specific rules. The Italian regulations on product liability are applicable. Regulation (EC) No. 376/2014 on the reporting, analysis and follow-up of occurrences in civil aviation, which entered into force on 15 November 2015, amends Regulation (EC) No. 996/2010 on the investigation and prevention of accidents and incidents in civil aviation and repeals Directive 2003/42/EC. For the purpose of this Regulation, 'occurrence' means any safety-related event that endangers or that, if not corrected or addressed, could endanger an aircraft, its occupants or any other person and includes in particular accidents or serious incidents. This Regulation aims to improve aviation safety by ensuring that relevant safety information relating to civil aviation is reported, collected, stored, protected, exchanged, disseminated and analysed. It provides a reporting system both mandatory (mandatory occurrence reporting (MOR)) and voluntary (voluntary occurrence reporting). Regarding the Italian system, companies in the aviation sector are required to set up a voluntary reporting system to facilitate the collection of details of occurrences that may not be captured by the mandatory reporting system and of other safety-related information that is perceived by the reporter as an actual or potential hazard to aviation safety. Any significant information shall be analysed and notified to ENAC by means of the 'eEMOR' system. However, it is also possible to address the voluntary reports directly to the competent authority; in this case, the reporting process works without using the internal company reporting system. The competent authority is the National Agency for Flight Safety (ANSV). Once voluntary reports have been sent directly to the ANSV, and the agency has properly analysed them, they enter into the national events database administered by ENAC, which ensures the appropriate confidentiality and protection of the collected details of occurrences. The ANVS is also concerned with the investigation of aircraft accidents in cooperation with ENAC. The sole objective of occurrences reporting is the prevention of accidents and incidents and not to attribute blame or liability. The absence of punitive purposes (in the name of a 'no penalty policy' or 'just culture'), as well as the fact that the authors of the information remain anonymous, is intended to remove resistance and fears to communication, and also to realise more complete occurrences reporting. Voluntary reporting – also of confidential information – could bring an important contribution to operational safety in aviation: in particular, these reports may include 'premonitory' or 'near-miss' occurrences, which could lead to real incidents if not communicated in due time. In August 2014 Alitalia reached an agreement with Etihad, the flag-carrying airline of the United Arab Emirates, for the acquisition of 49 per cent of Alitalia's shares. This agreement came into effect on 1 January 2015, thus creating a newly incorporated subsidiary of Alitalia, which received its operating business by way of subscription of shares. Following this transaction, a new joint venture, New Alitalia or Alitalia SAI, was created, and Etihad acquired sole control over Alitalia Loyalty, a subsidiary of Alitalia CAI that manages the latter's frequent-flyer programme. Control over New Alitalia is therefore jointly held by Alitalia CAI (51 per cent) and Etihad (49 per cent). Under the Merger Regulation, concentrations with a Community dimension must be communicated to the European Commission prior to implementation. Etihad's acquisition of 49 per cent of Alitalia CAI's shares was, therefore, communicated to the Commission on 29 September 2014. The Commission then undertook its standard investigations to examine possible effects on competition in the internal market, in accordance with the above-mentioned Regulation. In its investigation, the Commission took into account the interests held by Etihad in Airberlin, Darwin Airline and Jet Airways. The Commission concluded that on all affected routes, with one exception, the transaction did not raise serious competition concerns. However, the Commission's investigation indicated that the transaction would lead to a monopoly on the Rome–Belgrade route, where Alitalia AIC and Air Serbia are the only carriers offering direct flights. To dispel the Commission's competition concerns, Alitalia AIC and Etihad submitted commitments to release up to two daily slot pairs at Rome-Fiumicino and Belgrade airports for interested new entrants. The airlines also committed to provide further incentives, such as the possibility for a new entrant to acquire grandfathering rights after a fixed period. In November 2014, the Commission cleared the proposed acquisition of joint control over New Alitalia by Alitalia CAI and Etihad under the Merger Regulation. A decision pursuant to Article 6.1.b of the Merger Regulation was therefore issued, with the commitments submitted by the airlines and accepted by the Commission attached as an annex, pursuant to Article 6.2. The acquisition of joint control over New Alitalia was declared compatible with the internal market and the functioning of the European Economic Area Agreement. The agreement between Alitalia AIC and Etihad represents a challenge to the fifth freedom rights exercised by the airline Emirates. In 2013, it began offering services between the European Union and the United States through direct flights, as well as under special partnerships with other airlines. Emirates requested slots and traffic rights granting the right to extend one of its three daily flights from Dubai to Milan Malpensa onwards to New York's John F Kennedy International Airport. After an analysis of the relevant traffic flows, Emirates affirmed the identification of a strong demand for both direct connections as well the Emirates brand name, which is considered to stand out from the rest, being the only carrier in the region to offer a first-class cabin. Despite the above-mentioned agreement, Alitalia faced financial difficulty for a number of years and on 24 April 2017 its shareholders decided not to provide additional financing. As a result, in May 2017 Alitalia was placed under extraordinary administration according to Italian bankruptcy law. In light of this difficult financial situation, the Italian state granted a €600 million bridge loan to Alitalia to ensure the company's financing during this period. This loan was subsequently increased by an additional €300 million. In April 2018, the European Commission opened an in-depth investigation to assess whether Italy's bridge loan to Alitalia (€900 million) constitutes state aid and whether it complies with EU rules for aid to companies in difficulty. Furthermore, Alitalia's extraordinary administrators also started a tender procedure aimed at finding a buyer for the company's assets. The procedure was initially due to be completed in November 2017 but the government, by means of a Decree, extended the deadline until 30 April 2018. Since a buyer for Alitalia's assets was not found, a further extension of the deadline for the selling procedure and for the state loan repayment was approved by the Italian senate on 30 April 2018. The extension has been granted until 31 October 2018 for completion of the selling procedure and until 15 December 2018 for the repayment of the loan. In addition, Meridiana and Qatar Airways were working on a potential partnership; in fact, Meridiana Fly (which merged with Air Italy in 2012), reported a net loss of €190 million in 2012 that led the company to start negotiations with Qatar Airways. In February 2016, the two companies signed a memorandum of understanding for a strategic partnership to revitalise the Italian airline and recently Qatar Airways has purchased 49 per cent of Meridiana's shares. In Autumn 2017, Qatar Airways completed the acquisition of a 49 per cent stake in Italy's AQA Holding, the new parent company of Italy's second-largest carrier Meridiana Fly, while the previous sole shareholder Alisarda has kept 51 per cent. In February 2018 Meridiana changed its name to Air Italy. A measure that aims to facilitate the exercise of fifth freedom rights in Italy by foreign carriers was presented in November 2014, in the Develop Italy Act, which sought to bring about measures to kick-start the national economy. Under the title 'Urgent Measures for the Improvement of Airport Functionality', a sub-article was devoted to establishing the regime for the authorisation of foreign airlines to operate under the fifth freedom rule of the air. In 2016, ENAC issued Circular EAL-YY, which determines the implementation procedures of the second edition of the ENAC Regulation on 'Non-scheduled air services between EU and Third Countries', approved in December 2015 (implementing Article 787 of the INC). The Circular aims to simplify the procedures concerning traffic rights permissions in favour of non-EU carriers operating non-scheduled services in Italy. In particular, it provides the revision of the accreditation process of non-EU operators performing in Italy, according to the third-country operator authorisation provided for in Regulation (EC) No. 452/2014; two different authorisation procedures respectively for aircraft having a maximum operational passenger seating configuration, not less than 20 seats, and for taxi flights (performed with aircraft having configuration of maximum number of passengers seats less than 20); and the exemption from authorisation for EU carriers that perform taxi flights. Another interesting ruling in Italy in the past year was issued in February 2015, when the Italian Constitutional Court issued Judgment No. 13 regarding the issue of constitutionality of recently introduced legislation that establishes €0.50 as the maximum rate of regional tax on noise emissions for civil aircraft, due by both national and foreign aircraft operators to an Italian region for every take-off and landing in an airport situated in that region's territory. Originally the tax on aircraft noise was established by Article 90 and subsequent to Law No. 342/2000. The tax is determined by noise emissions certified by ICAO for each type of aircraft and the take-off weight of the aircraft. Revenue from the tax should be used mainly for the completion of noise-monitoring systems, noise 'depollution' and eventual compensation of the population living close to the airport. In 2011, the above-mentioned tax became the regional tax on civil aircraft noise emissions (IRESA) – a truly regional tax – so each region could regulate the amount. In 2013, the Lazio region established variable rates for IRESA, ranging from a minimum of €1.60 per ton to a maximum of €2.50 per ton. IRESA was applied by some Italian regions with important differences between them. The unequal regulation of the tax could be harmful to competition by adversely affecting the conditions of viability of aircraft operators. The national legislator, accepting the recommendation of the Competition Authority, defined common criteria for calculating IRESA in Law No. 9/2014, establishing €0.50 as the maximum IRESA rate (i.e., a lower rate than the one fixed by the Lazio region). The Lazio region raised the issue of constitutionality of the said legislation by virtue of its incompatibility with Article 117 of the Italian Constitution. According to Lazio region, the new rate does not promote competition because older and noisier aircraft will be subject to a regime similar to that for more efficient aircraft. The Constitutional Court, however, rejected the applicant's arguments and confirmed the constitutionality of the contested legislation. The Italian regions, therefore, have to amend the IRESA rates in such a way that the maximum amount does not exceed €0.50. In conclusion, national and foreign aircraft operators are set to benefit from the reduction of the tax on noise emissions, due for every take-off and landing at an airport in Italy. Furthermore, on 30 March 2016, ENAC published the official data on the 2015 air traffic in the national airports, which have highlighted a positive trend of the industry – it registered a 4.5 per cent traffic increase compared to 2014, with more than 156 million passengers. The busiest national airports are still Rome Fiumicino, with a traffic share over 25 per cent (40.2 million passengers), followed by Milan Malpensa with 12 per cent of the market share (18.4 million passengers), Bergamo Orio al Serio with 6.6 per cent of the market share (10.3 million passengers), Milan Linate with 6.1 per cent of the market share (9.6 million passengers) and Venice Marco Polo with 5.5 per cent of the market share (8.6 million passengers). Likewise, freight air transport has grown by 4.3 per cent since 2014, with 941.107 tons carried (on aggregate of cargo and mail). Moreover, ENAC Resolution No. 27 of 13 October 2014 limited the number of ground handlers admitted at Rome Fiumicino Airport for the supply of runway operations and baggage, cargo and mail services. In parallel, ENAC launched a public tender to select the admitted operators, which has ended with the award of the handling services to Aviapartner Handling SpA, Aviation Services SpA and Alitalia Società Aerea Italiana SpA. The ENAC Resolution, and the subsequent tender, has been contested before the Regional Administrative Court of Lazio by other interested handlers. However, on 15 April 2016, the Court rejected the requests, considering the tenders legitimate, and confirmed the awards to the mentioned companies. Finally, the EC proposal for amending Regulation No. 1008/2008 concerning the operation of air services in Europe has been finalised to ensure legal consistency and harmonisation with the international agreements in the wet-lease field. In August 2016, the Italian Ministry of Infrastructure and Transport (MIT) presented new guidelines concerning state aid finalised to the development of air routes by air carriers, aimed at insuring wide availability to air carries to incentive public investment. Subsequently, the new independent Italian Regulatory Transport Authority drafted a comment on such intervention. The Italian Regulatory Transport Authority's role is to define the criteria used in setting tariffs according to the competition circumstances actually available in any single market related to local and national transportation services, including airports. In accordance with this function, and to provide greater understanding in the matter, the authority has published an opinion on MIT's guidelines on the application of the EU Guidelines on aid to airports and airlines (the Guidelines). The Guidelines are aimed at establishing good connections between regions, as well as the mobility of European citizens, while minimising distortions of competition in the single market. They are part of the Commission's State Aid Modernisation strategy, which aims at encouraging more effective aid measures and focusing on cases with the biggest impact on competition. According to the Guidelines, there are several conditions that must be satisfied before investment aid can be granted. Financing by public authorities of the construction of airport infrastructure for the provision of airport services to airlines and other airport clients constitutes state aid only if it meets the 'market economy operator' test. Therefore, if the test reveals that the sums are put at the disposal of the airport operator under conditions that would be acceptable to a private market investor (i.e., if the investor could reasonably expect an adequate economic consideration from that investment, taking into account the degree of risk involved), then no aid issue arises. Instead, if the test highlights that those same conditions would not be acceptable to a private investor, then the public financing for the airport constitutes state aid for the purposes of Article 107(1) of the Treaty on the Functioning of the European Union. For example, after an investigation extended in 2012, the European Commission has approved state aid granted by Italy to the operator of Alghero airport, So.Ge.A.AL, in the form of capital injections, and aid to finance infrastructure upgrades in the period from 2000 to 2010, since it is compatible with EU rules. The Commission assessed past operating aid granted to the airport under the 2014 Aviation Guidelines. The Commission found that the aid was limited to the minimum necessary to ensure the economic viability of the airport and did not give rise to undue distortions of competition. The investigation also found that the aid to finance infrastructure and equipment at Alghero airport complied with both the 2005 Aviation Guidelines and the 2014 Aviation Guidelines because it furthered the connectivity of the Sardinian region without unduly distorting competition in the single market. However, the Commission found that the agreement concluded by So.Ge.A.AL with Germanwings in 2007, and the agreement concluded with Meridiana in 2010, involved small amounts of state aid to those airlines. The Commission found that this aid constituted operating aid to the airlines, which could not be declared compatible with EU rules, thus the beneficiaries must pay it back. Alghero airport is one of the recent cases of privatisation as, since January 2017, 72.5 per cent of So.Ge.A.AL is controlled by F2i Found. Financial aid shall be proportionate to each airport's investment plan, and subject to the financial analysis for a given project. If this proves that the project can be carried out with less than the maximum level of aid allowed for that airport size, then the aid will be limited to the lower amount. Therefore, in future the Italian Regulatory Transport Authority should take into consideration the main aspects of the 2014 Aviation Guidelines. 1 Anna Masutti is a senior partner at LS Lexjus Sinacta. 2 ENAC – Comunicato Stampa No. 81/2016. 3 See Regulation (EC) No. 868/2004 of 21 April 2004 concerning protection against subsidisation and unfair pricing practices causing injury to Community air carriers in the supply of air services from countries that are not members of the European Community, Official Journal L 162, 30/04/2004 P. 0001 – 0007. 4 Proposal for a Regulation of the European Parliament and of the Council on safeguarding competition in air transport, repealing Regulation (EC) No. 868/2004, 8.6.2017, COM(2017) 289 final, 2017/0116(COD). No. 1008/2008 on common rules for the operation of air services in the Community. 6 Atto Senato. Risoluzione in Commissione 7-00295.